Following a surge in oil revenues in the 1970s, Nigeria became one of Africa’s most rapidly developing nations. 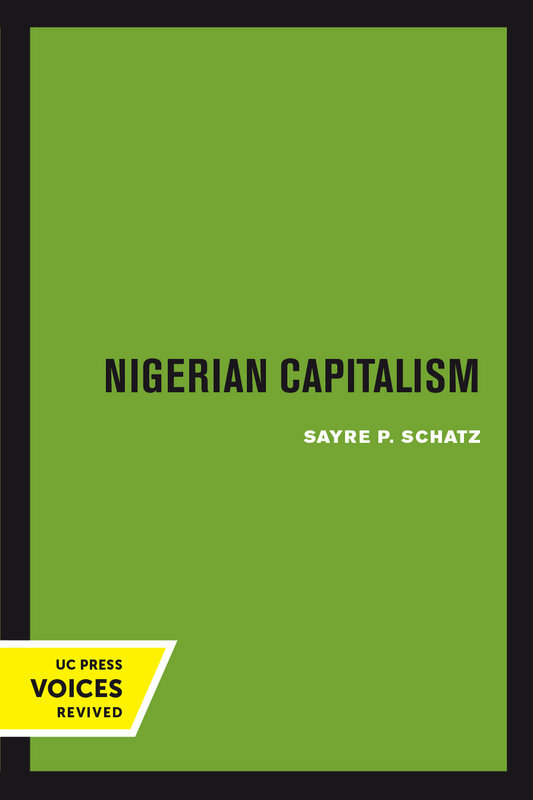 In Nigerian Capitalism, Sayre P. Schatz analyzes the country’s political economy, assessing its position and proposing a development plan for the final quarter of the twentieth century. 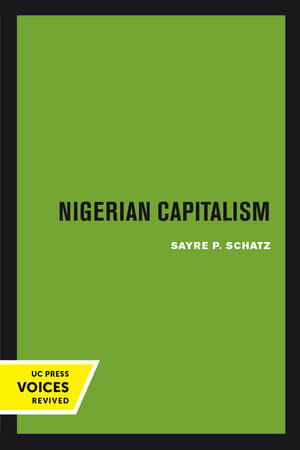 Referring to Nigeria’s economic development strategy as "nurture-capitalism," Sayre contrasts the role of private enterprise, which is expected to foster growth of the productive sector of the economy, with the government’s role, which is to nurture the capitalist sector generally and to favor indigenous enterprise in particular. The author examines the development of Nigerian nurture-capitalism from 1949 to the launching of and early experience with the Third Plan (1975–80), with emphasis on the post-civil war 1970s. He then turns to an intensive study of indigenous business and possible impediments to the development of Nigerian private enterprise, analyzing the role of capital availability, entrepreneurship, and the economic environment. Sayre demonstrates that there are substantial divergences between private profitability and social utility and that there is an abundance of socially useful investment possibilities for indigenous businessmen. The author next turns to a study of the government business-assistance programs, and their economic, administrative, and political characteristics. Finally, he assesses the sources of successful investment and makes a case for enhanced socially useful investments. Comparing “pragmatic developmentalism,” “pragmatic socialism,” and “thoroughgoing socialism,” he proposes a pragmatic orientation that postpones ideological decisions as long as practicable. This title is part of UC Press's Voices Revived program, which commemorates University of California Press’s mission to seek out and cultivate the brightest minds and give them voice, reach, and impact. Drawing on a backlist dating to 1893, Voices Revived makes high-quality, peer-reviewed scholarship accessible once again using print-on-demand technology. This title was originally published in 1977. Sayre P. Schatz was Professor of Economics at Temple University. He is the author of numerous books and articles on African development.